As I've shared in previous articles and blog postings, vigilance is important to historians and collectors of vintage vehicles. You never know where something important may show up. You never know who might help lead you to those clues. You never know how soon you might run across something extremely intriguing and... You never know what you might find if you're simply watching at the right time. You just never know. Such are the stories that have repeatedly happened to me over the last 20 years... experiences that one-by-one have consistently opened doors to some of the rarest vehicle history this country ever produced. 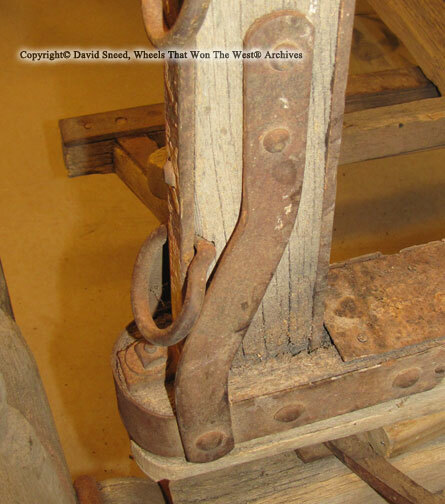 From our discovery of an exceptionally scarce and documented 1878 Studebaker with a significant amount of original paint to personal business correspondence written by legendary wagon maker, Joseph Murphy, himself, there are countless experiences I could relate of doors being opened. The main effort it took was simply this... a true commitment to seeking answers. It's a point that reminds me of numerous experiences I've encountered during my research and travels. Beyond the memories of trips we've taken, I truly enjoy outings with my family. They love to tease me about always having ulterior (wagon researching) motives and, I'll have to admit, many cross-country excursions and even shorter day trips often end up with detours for early vehicle research. It's a good thing they love history or my persistent ways would have met with much more resistance. One of my "research" projects actually had its roots in a conference my wife attended years ago. 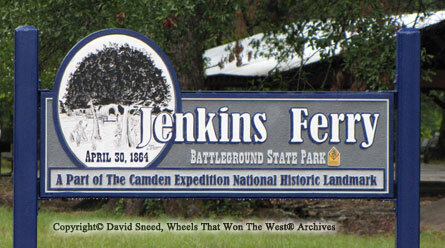 It seems one of the speakers had much to share about the Civil War, army wagons, pontoon bridges and the like. He lived in southern Arkansas and because of the driving distance to experience the area he had referred to; I wasn't able to reach out to him for several months. When we did connect, I was impressed with his enthusiasm for the subjects and I determined to learn more about the war and the hundreds of Union army wagons that traveled through Arkansas. After arranging for another meeting, I was privileged to interview several of his constituents as well. These were folks holding collections filled with Civil War artifacts. 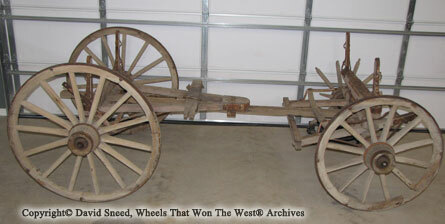 That led to a private collector who had a homemade spring wagon in the shop with her artifacts. 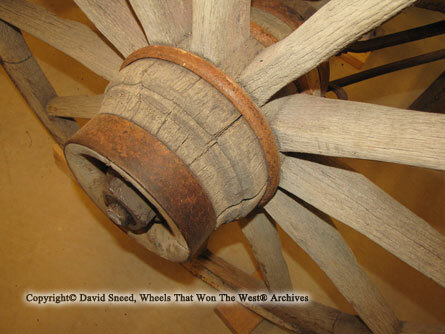 A conversation there led to a brief mention of a few old wagon parts in a side shed on the property. You see where this is going, right? With a little persuading, I convinced the owner to show me these vehicles. As we made the hike to the back of the remote property, I had no idea what to expect. Opening the door, the shed was packed with almost every type of lawn item, household extra, vintage farm implement, and special project planned to get done 'someday.' In the middle of the room - barely visible in the clutter and completely disassembled - was a collection of well-worn wagon gears. While the collage had been successfully stacked together at one time, it was now a chaotic scramble of wood and metal parts. Sifting through the interwoven layers, I attempted to catalogue features on-the-fly and mentally organize the different pieces into coherent and complete vehicles. As my eyes inventoried the individual parts; spoke bands, hub designs, skein shapes, hound configurations and other clues began to take shape. Suddenly, one of the vehicles had come together in my mind and, along with that, was what I was really looking for - an identity. Feature after unique feature, there was no doubt. It matched in every regard. Here, in the lowlands of Arkansas, was the foundation of an original Studebaker Mountain wagon. 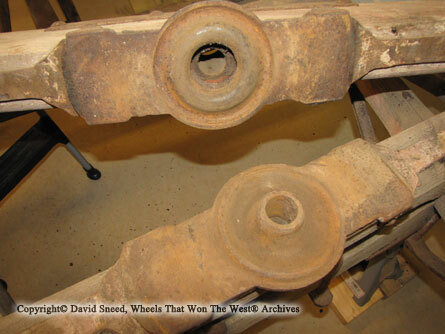 A heavy dead axle (without springs) wagon gear, this is not to be confused with another style of passenger vehicle (with springs) that is also correctly referred to as a Mountain Wagon. Specifically built for the wilds of the West, no one could have predicted the presence of this gear in this locale. Curiosity took over and, with a little more questioning, the owner confirmed that her husband had brought these gears back from Colorado many years ago. It was a remarkable find. Uncovering the heap of antiquated parts, we laid out the gears and the distinctive look of Studebaker took shape. Long sleeve steel skeins stretch under the clipped, black hickory axles. White oak spokes are accompanied by rounded spoke bands, single-groove hubs, and a heavy-duty reach box. Elsewhere, the circle irons, bolster and sand board plates as well as the heavily-ironed hounds all bear the legendary Studebaker design as do the steel-framed wooden standards with angled side bracing. Stamped into the weathered front axle as well as the beefy sway bar is the number 3 1/4. It's a mark indicating the skein size with implications for the weight capacity classification as well. Period Studebaker literature states that the wagon was "designed especially to meet the requirements of the western trade." This particular wagon is what Studebaker termed as their "Low Wheel" Mountain Wagon. So, instead of the larger 52" and 54" rear wheels, this period-correct gear includes rear wheels measuring 46" tall and corresponding front wheels sized to 38" in height. It's a design Studebaker was heavily marketing by the early 1880's and into the 1900's. 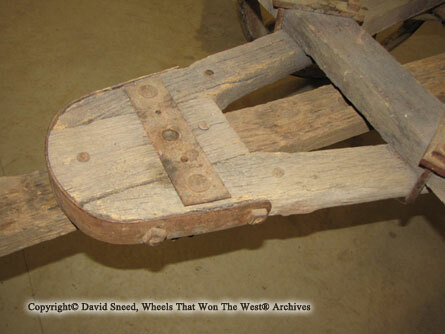 Sawn felloes are combined with heavy tire rivets, 10" steel skeins, 2" wide tires and a 56" track. Collectively, the tire width, axle size, and skein dimensions point to a capacity rating of at least 4,500 pounds. The gear has clearly seen its share of action and is crippled from years of abuse and neglect. However, the cupped, splintered, and thinned tires seem right at home with the worn circle iron, bent tire rivets, and aging wheels. It carries a collective patina untouched by modern restoration. As a result, it's rich with history, authenticity and hard-earned character. Every nick, dent, rub, wrinkle, and wear mark carries an account of life under pressure and the true lessons of designed grit. Because of the harsh conditions and heavy burdens these machines bore, there aren't many survivors from this vehicle class and many of those are mere shells of their initial strength. We're pleased to give this one a well-deserved place to rest and share its role in America's western heritage. After all, this rolling bastion of wood and metal was specifically built to endure the racking, pounding, twisting and jerking stresses of western travel while reaching deep within its DNA to regularly showcase the Studebaker brand. It's a legacy so strong that these vehicles are still highly prized by western vehicle enthusiasts today. Ultimately, who would have thought that a Studebaker Mountain wagon in original, last-used condition could be found in a convoluted pile of pieces in the flatlands of Arkansas? Who would have thought that it would survive in that location for years; sheltered and preserved while waiting to re-gain its identity for current and future generations of western history enthusiasts? From start to finish, the discovery of this piece is yet another reminder that when it comes to predicting what tomorrow may bring, there's plenty of reason for optimism. After all, we live in a world full of history and something is always waiting to be discovered. How close are you to an important clue to American history? You Never Know.